It’s time to get into the festive spirit and start getting your outdoor spaces ready for Christmas entertaining to make it the perfect space for celebrating with family and friends. Keep Christmas day itself stress-free by planning ahead to get all your jobs done in advance, so you can enjoy the day with all your guests. 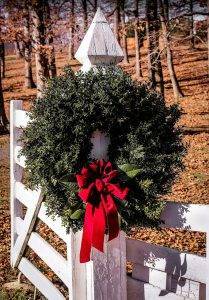 Keep reading to learn some easy and quick ways to spruce up the garden in time for Christmas. Clean up your driveways, paths and any paved entertaining areas, by giving them a good sweep and pressure washing them if necessary. Overhaul the BBQ now so when you come to cook up those Christmas day delicacies you’re not spending the whole morning scrubbing the grill before you can use it. Beer and newspaper are often recommended or lemon juice/vinegar and bi-carb soda work well. Help draw people into your outdoor spaces by adding in a feature such as a water feature, a green wall, statement pots or a sculpture. The garden gives a great space to mingle and socialise if the weather allows and provides separate areas if the family all get a little too much! When picking a location for the feature pieces, consider how the new element looks from inside the house as well as out in the space itself. 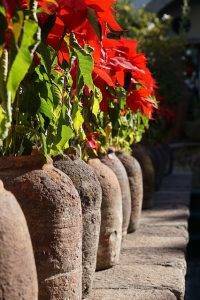 Why not add some colour to the garden this Christmas? Add some colourful pots, a wind chime or some comfy bright cushions on your outdoor chairs. These can be themed for the festive season or to go with your colour themed settings – it’s all about creating a relaxed and fun atmosphere. This is your chance to set the scene for the day as your family and friends arrive – so why not go all out! 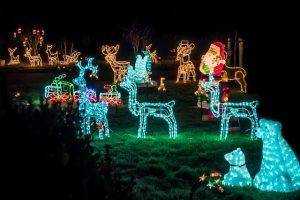 Utilising existing landscaping structures such as fences, garden bed walls, veranda pillars or posts and adorning these with Christmas lights and decorations transforms your front yard into an appealing festive grotto. Place an outdoor Christmas tree in your front yard with mini lights on the branches and add some ornaments to brighten up your entire landscape. Create a bright, welcoming path, drawing guests into your home by decorating with lights. You can use starlight stakes to light your driveways and walkways or have some fun with multi-coloured lights. You can use colour changing or twinkling lights or go all out with a cascade of lights covering existing trees, shrubs or hedges. 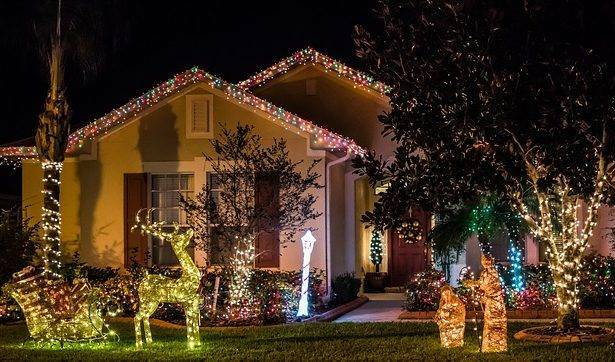 Wrap your tree trunks and branches in fairy lights to make a whimsical statement in your yard. Fresh Perspective Landscapes can help with your landscape and garden preparations for the festive season – Contact Luke 0434 355 066 or on Facebook for a free quote to transform your outdoor spaces.